With international design and construction experience, Angela started her career with the nuclear industry in Project Management at Chalk River Laboratories. This provided experience in design, construction, commissioning, and operations of nuclear facilities with a strong focus on business performance and implementing various quality and management systems. Over the last 22 years highlights included archiving the ZEEP Reactor for public display, participating in the transition to a Government-Owned Contractor-Operated business model, and supporting ISO 9001 quality management system certification. 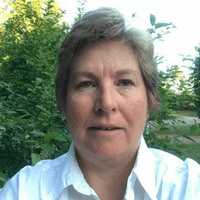 Her current role as Director of Management System at Canadian Nuclear Laboratories Ltd, permits her the opportunity to participate in CANDU Owner Group working groups and Canadian Standards Association committee for Nuclear Management systems, contributing to the development of CSA N286-12 Management Systems for Nuclear Facilities and CSA N299 series of standards.